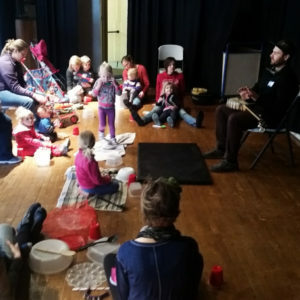 Supported by SEMAC, the Performing Artist Engagement Program provides a platform for visiting performers to deepen relationships beyond a single performance at the St. Mane Theatre through community engagement activities in a variety of accessible spaces, such as artmaking workshops, educational classes, group discussions and informal performances. Musician and poet Ben Weaver shares a story on the porch adjacent to the Lanesboro Museum during a visit in August 2017. 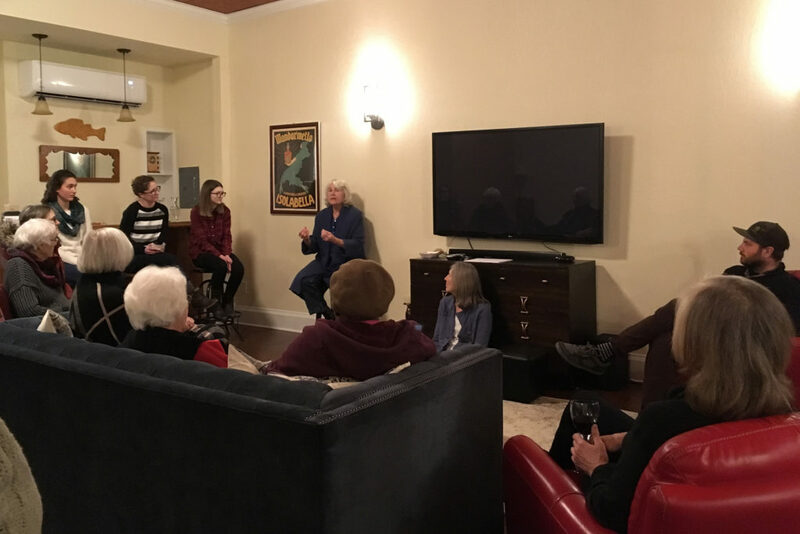 Since 2001, Lanesboro Arts has facilitated an Artist Residency Program for early career artists, which has successfully served dozens of artists and hundreds of community members. 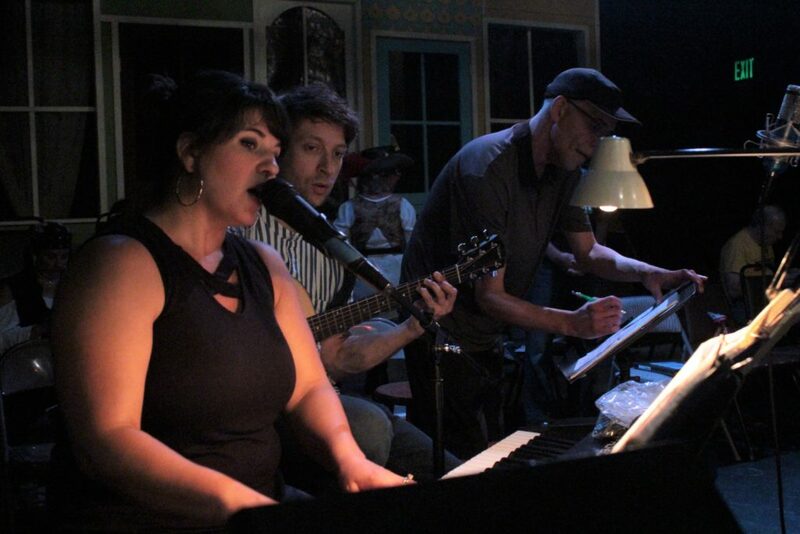 The organization is applying the collaborative, place-based approach of its Residency Program to the Performing Artist Engagement Program for established Minnesota performers visiting the St. Mane Theatre, especially musicians, who are under represented in Lanesboro area programming. 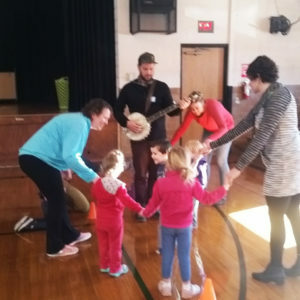 The Performing Artist Engagement Program develops knowledge, critical thinking skills, understanding, and appreciation of the arts through artist-driven, interactive community events. 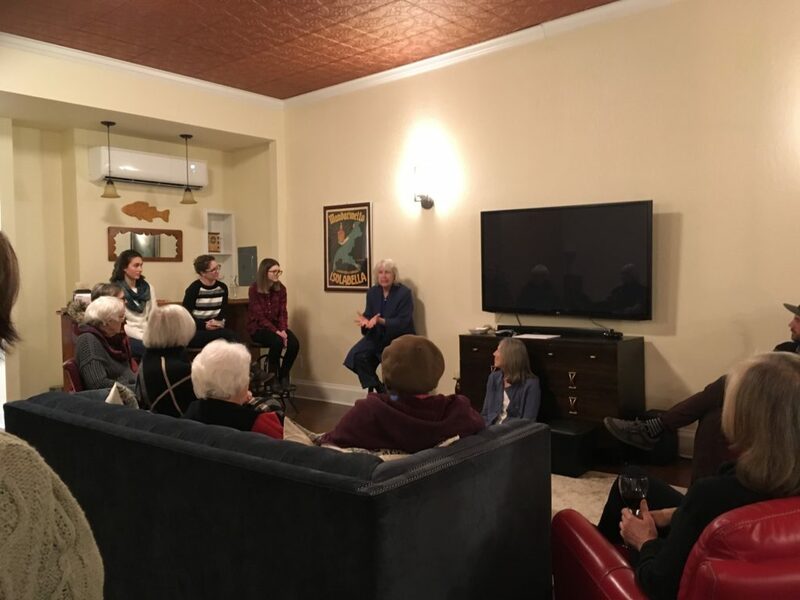 By supporting highly-qualified artists in furthering their own artwork while educating and invigorating community members in accessible spaces, the project also increases access for diverse audiences and advances Lanesboro Arts’ mission. The Performing Artist Engagement Program was developed specifically to address the challenges inherent in making conventional performing events in a sit-down theatre more accessible and relevant to area residents and visitors. 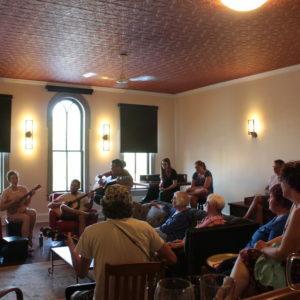 By bringing performing artists to community spaces and nontraditional venues such as the library, museum, school, and outdoor venues, in addition to designing relevant programs around the natural or cultural environment or everyday challenges, Lanesboro Arts strives to meet audiences where they are at and build relationships with members of groups that have historically been under-served by the arts (such as seniors, low-income families and rural youth). 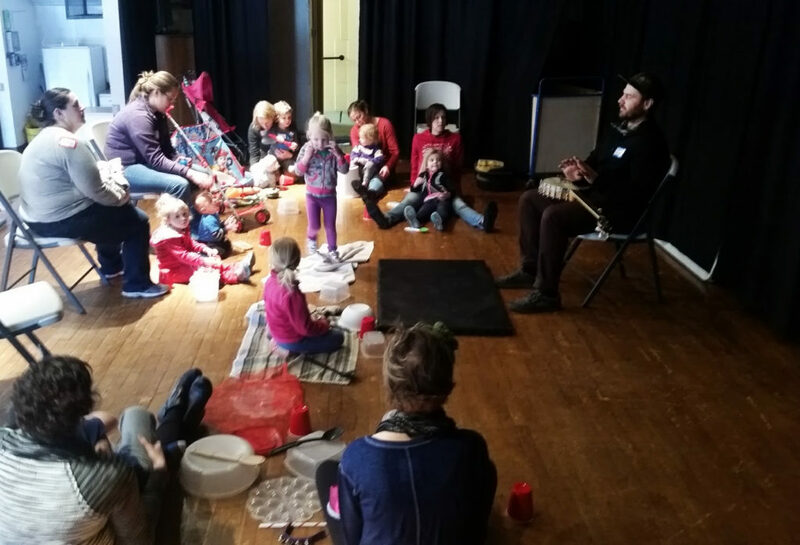 Communities in the Lanesboro area and throughout Greater Minnesota need opportunities to engage with artists and arts activities on a deeper level. 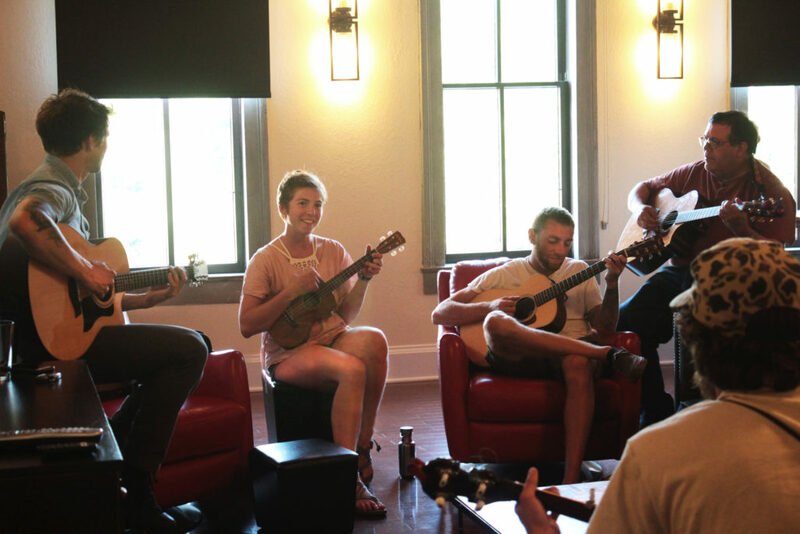 With a dual commitment to serving our community and artists, the Performing Artist Engagement Program provides an opportunity to expose the creative process to the community while engaging them in a meaningful, personal experience. Please contact Adam Wiltgen, Program Director, at adam@lanesboroarts.org with questions about the program, future project ideas, the community engagement component, etc. Larry Long is an American singer-songwriter who has made his life work the celebration of everyday heroes. Author, historian, actor, and broadcaster Studs Terkel called Larry “a true American Troubadour.” Larry has written and performed hundreds of ballads celebrating community and history makers. His work has taken him from rural Alabama to the Lakota communities in South Dakota as he has given musical voice to struggling Midwest farmers, embattled workers, veterans and marginalized communities. He assembled the first hometown tribute to Woody Guthrie in Okemah, Oklahoma, which today has evolved into the annual Woody Guthrie Folk Festival. Leading up to his concert at the St. Mane Theatre with the American Roots Revue on May 17, Larry will use his songwriting curriculum to assist Lanesboro community members in sharing their stories and turning that collective narrative into a song. 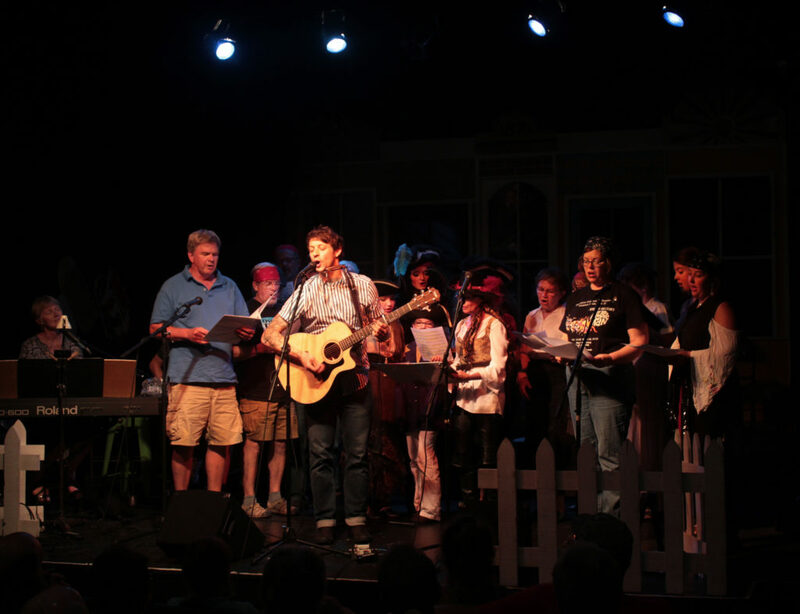 This song will be presented at both “Over the Back Fence” on May 10 and the American Roots Revue concert on May 17, with community members participating. 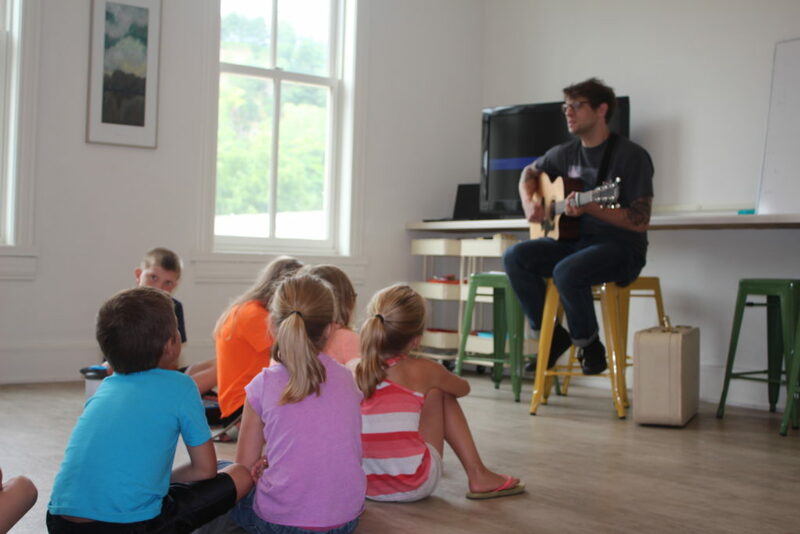 This is an art experience, but more a celebration of the special circumstance of Lanesboro and an educational device to develop empathy across the community from one group to another. 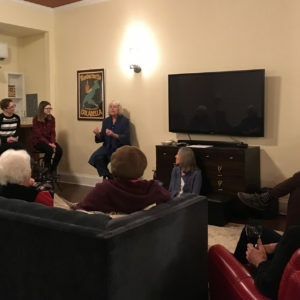 This activity is made possible by the voters of Minnesota through an Arts Tour grant from the Minnesota State Arts Board, thanks to a legislative appropriation from the Arts & Cultural Heritage Fund. Click here to learn more about Larry’s residency in Lanesboro and how you can participate. Jillian Rae is an established singer-songwriter, vocalist and fiddle player based in the Twin Cities. Rae also co-founded and teaches at Music Lab, a music school offering workshops and private lessons to students of all ages. She is currently an active member of six bands, and often lends her fiddle expertise to other groups. 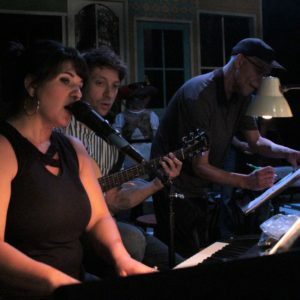 In addition to Jillian Rae’s work with students through Music Lab, she has taught several master classes at MN high schools and colleges, led workshops about the business of being an artist and is an advocate for the power of creativity to bring people together and overcome barriers. 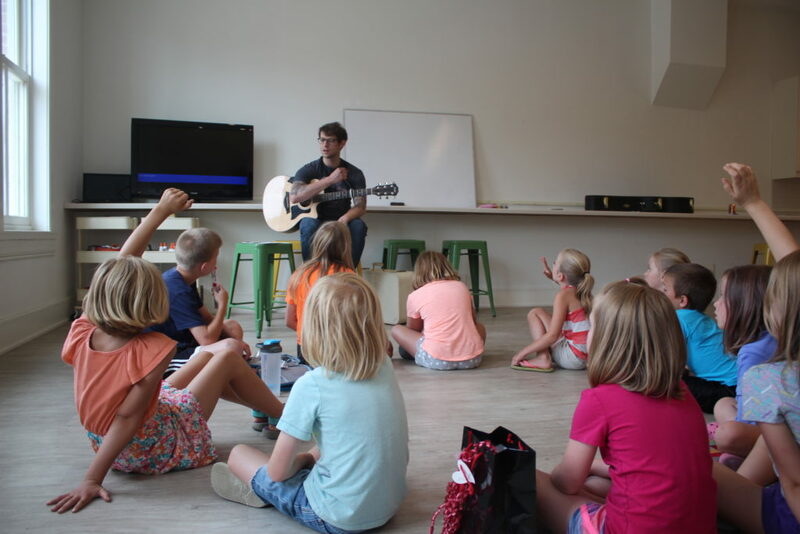 Rae’s flexible and accessible approach to songwriting serves as a catalyst for individuals of any ability in the Lanesboro community to create and learn with confidence. 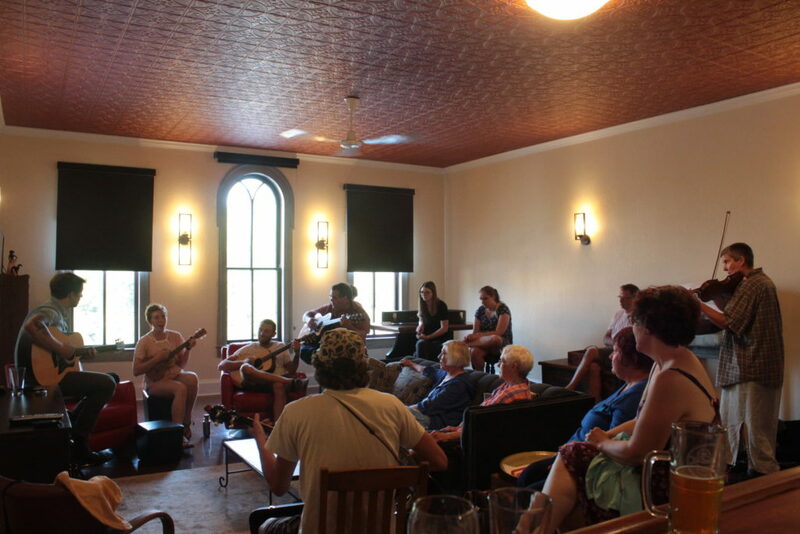 Click here to learn more about Jillian’s residency in Lanesboro and how you can participate. 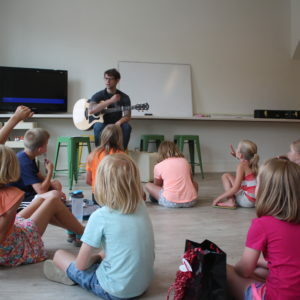 Nationally recognized singer/songwriter Chris Koza is a previous recipient of Minnesota State Arts Board Arts Tour, Arts Learning, and Artist Initiative grants that engaged youth audiences. 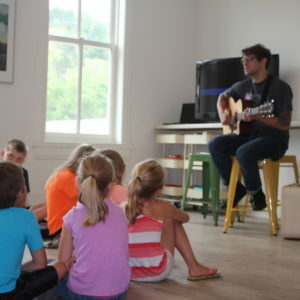 Chris kicked off his mini-residency with the kids at Surprise Sculpture and Open Studio. He got to know them by writing a song about them and helping them with their art projects. He gave a mini-performance at SEMCAC Senior Dining. He led a Poetry and Songwriting Workshop, followed by an open mic performance at the High Court Pub & Loft. 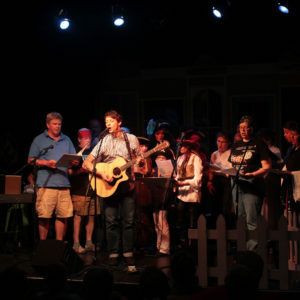 He served as musical guest for the ‘Over the Back Fence’ Community Variety Show, and he collaborated with community cast members through rehearsals to sing one of his songs, The Wolves and The Ravens,” alongside him on-stage during the show. 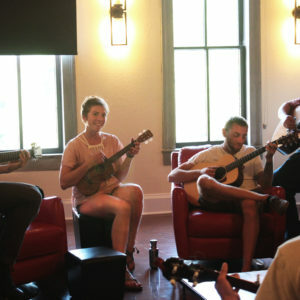 Chris’s mini-residency culminated in a capstone concert on Saturday, July 14, featuring a backing band. 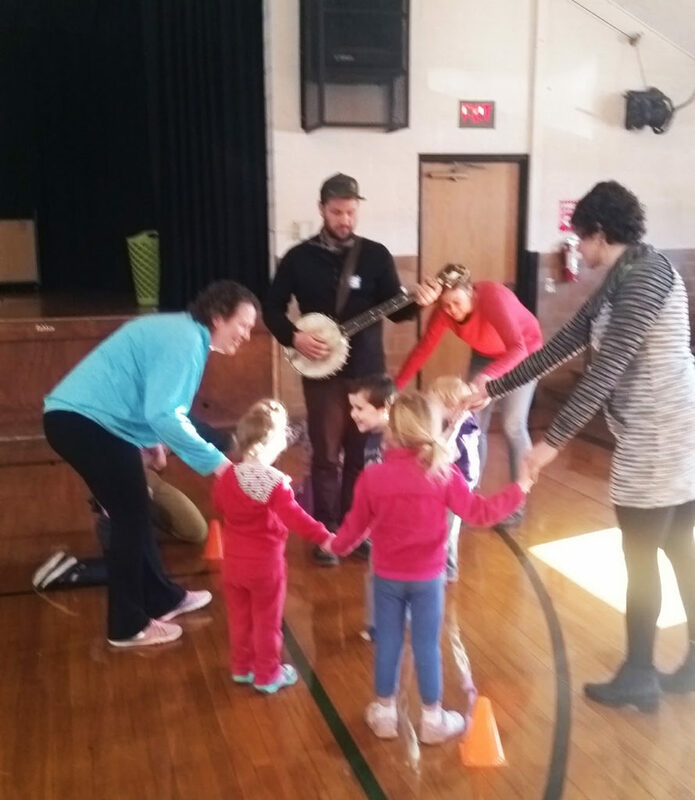 Click here for more information on Chris’ residency in Lanesboro and how the community participated. 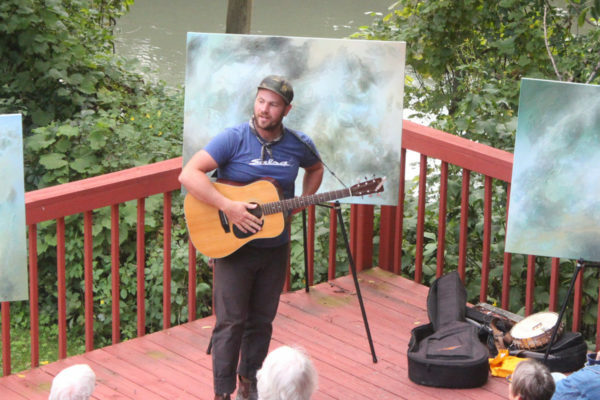 Ben Weaver is a songwriter, musician, poet, letterpress printer, and adventure advocate whose experiences touring long distances by bicycle provide a unique starting point for connecting Lanesboro area residents with natural spaces. Ben kicked off his mini-residency by visiting the classroom of Lanesboro Public Schools’ Art Teacher Stena Lieb. He helped with students’ art projects and shared his experience as a full-time working artist. He visited P.L.A.Y.Y., Lanesboro’s intergenerational playgroup. He participated in multiple Story Circles around Lanesboro, and he led an Outdoor Trail Walk. Ben’s mini-residency culminated in a capstone performance, during a concert with Charlie Parr, at the St. Mane Theatre on Saturday, January 20. 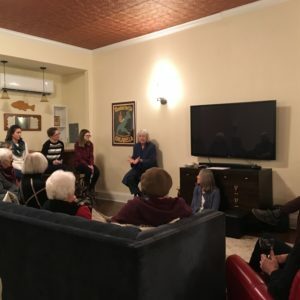 Click here for more information on Ben’s residency in Lanesboro and how the community participated.